The Time Out Kuala Lumpur team walked away with the title of “Best in Online Media” in the category of magazine website yesterday at the World Association of Newspapers and News Publishers (WAN-IFRA) Asian Digital Media Awards 2013, held at the Shangri-La Kuala Lumpur. The title under the Mongoose brand was honoured with gold for the www.timeoutkl.com website by a jury of 29 expert digital judges from globally recognised media companies. Time Out KL was the only Malaysian brand to receive a Gold Award in any of the nine categories. Lim Chee Wah, editor of Time Out KL, along with digital director, Tahmina Ashraf, received the award saying this is an amazing recognition of the quality of the website and the hard work by the whole team. Mongoose’s chief content officer, Matt Bellotti further adds that the team at Mongoose are all very passionate about the work they do and richly deserves this accolade. 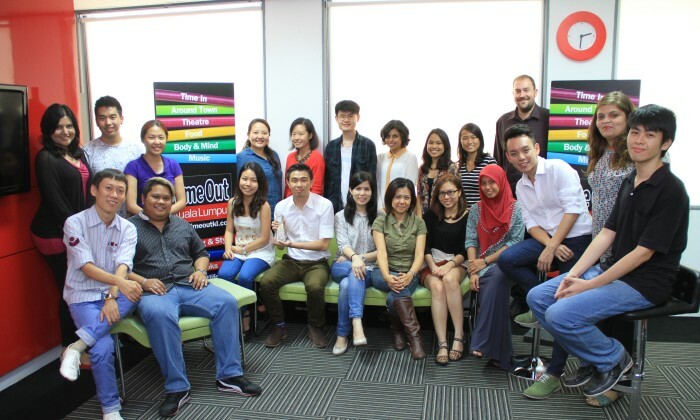 Timeoutkl.com commands 800,000 views a month and profiles everything from breaking news and independent reviews to event listings, critics’ recommendations, offers and promotions. WAN-IFRA and Asian Digital Media Awards are considered one of the most prestige recognitions of outstanding work in the fields of online media and publishing. Perhaps moving into the year of monkey: 2016, we might consider demonstrating our grip over the ‘Ever changing business of Marketi.. The first wave of the campaign showcases the latest Weber Q Series of gas grills, focusing on balcony grilling in high-rise and la..